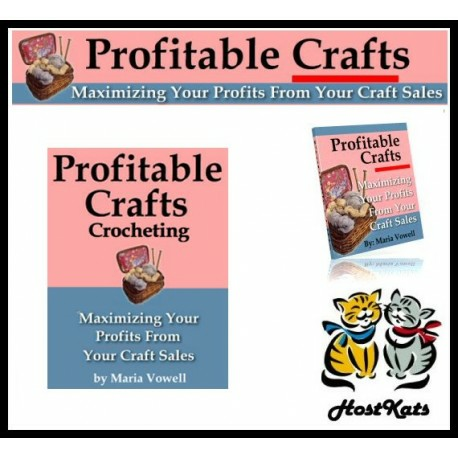 This volume of Profitable Crafts covers selling your products on consignment, and getting your projects published. I’m sure you’ll find a lot of helpful information that will prove to increase your profits and keep you from making costly mistakes. If you’ve ever wanted to submit your designs to national publications, then you’ll find that the submission process isn’t as complicated as some may make it out to be. I show you how to submit to publications the proper way to greatly increase your chances of having your design accepted. You’ll find at the end of this manual, a quick step-by-step system that I use, that has been extremely profitable for me many times over, regarding self-publishing your own designs as well. Once more, I hope that you enjoy this manual, and I would like to wish you many happy days of creating wonderful items for your home, craft shows and/or business.